St. Gregory junior Sloane Burns published yesterday the following (front page, top of the fold) article about our new expanded reporting of learning element, the Essential Goals for St. Gregory Students, which debuted in December. My comments are below, at bottom. The EGG is well known around campus. When an outsider hears one talking about it, their reaction is usually confused. It stands for Essential Goals for St. Gregory Students. It is a new idea of headmaster Mr. Martin’s to evaluate students on 21st century skills. The EGG is an addition to the report cards that we have online and the EGG makes sure that the administration is “both measuring, and promoting the learning of, the habits of mind, the skills, and the values the administration and teachers believe are most important for the students’ future success in college and careers.” The EGG evaluates students on seven major categories. These seven categories include various sub-categories* that go further into depth of what the teachers are evaluating. According to Mr. Martin, “The new ‘EGG’, puts a strong emphasis on the components of character, scholarship and leadership as vital things to be evaluated and reported on every semester.” The students heard one Friday in meeting, the EGG fulfills the character requirement in our motto: Character, Scholarship, and Leadership, while scholarship is evaluated on our high academic standards and Leadership is evaluated on all the work that students do on the challenge course. Teachers are actually for the most part, taking a liking to the EGG but at points having a little trouble fathoming it. First of all, it takes less time than comments but teachers have mentioned that the EGG is definitely more difficult than comments because the teachers have to evaluate the students individually on moral issues and some teachers find that to be quite uncomfortable to do. Overall the teachers believed it is a good idea; it just may take a while to catch on. 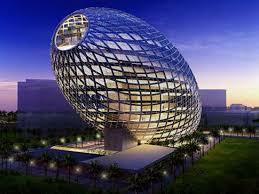 The EGG is very new on the St. Gregory campus. It made its first appearance in the first semester report cards and is only a test run. Nothing is permanent yet. It definitely has its ups and it could be a good idea even though some kinks may need to be ironed out before it really catches on. 1. It was not 100% my new idea, not at all; it was built upon work done last spring and last fall by the middle school faculty and the academic committee; I added things to it, and was enthusiastic about it, and helped make it happen, but it was not my new idea. 2. I think that actually the Egg covers Character, Scholarship, and Leadership, not just character. Sections 1 and 2 are mostly about character, sections 4, 5, 6, and 7 are about scholarship, and section 3 (and some of of the others too!) is about leadership. 3. I love what Arielle says about the value of the new Egg. She is glad to be evaluated not just on her academic achievement, but also on her effort, and this is SO important; there is a whole lot of research that supports the idea that SO much of success in life comes not from your academic achievement level but from your work ethic, effort, and perseverance! 4. I think Carrie is right when she says it is still needs to develop more, and we the teachers need to do more to develop ways in class for students to demonstrate, and be assessed upon, these ‘essential goals.’ That is a very important point. 5. I understand that it is hard to judge or evaluate students on moral issues, and that is something to be careful about. But if we are serious about character education, we need to do some of this, and what we are trying to do in the Egg is to, as you can see, evaluate students on their ethical actions: whether they are demonstrating compassion and empathy, whether they are understanding complex moral issues, whether they are acting responsibly. Again, thank you very much Sloane– good job!